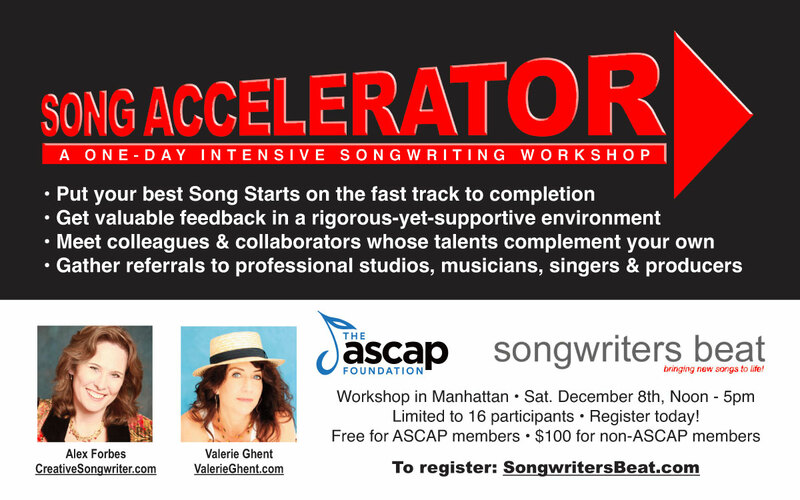 Song Accelerator Songwriting Intensive – Join us for this fast-paced songwriting workshop ! This class filled up fast! & be the first to know of our 2019 songwriting workshops! Thanks to The ASCAP Foundation!